Players are sure to celebrate IT’s newest Infinity® V55™ theme Fireworks Festival™. 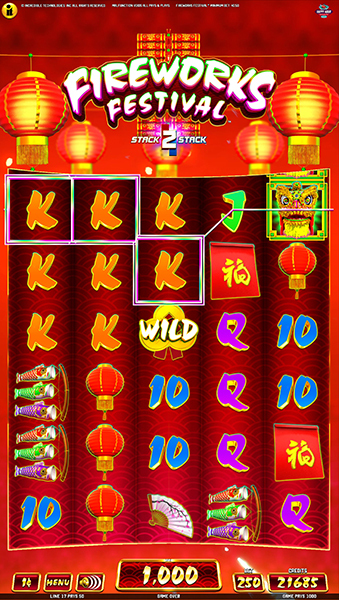 The Asian celebration-inspired slot debuts with beautiful, towering reels of Chinese symbols. 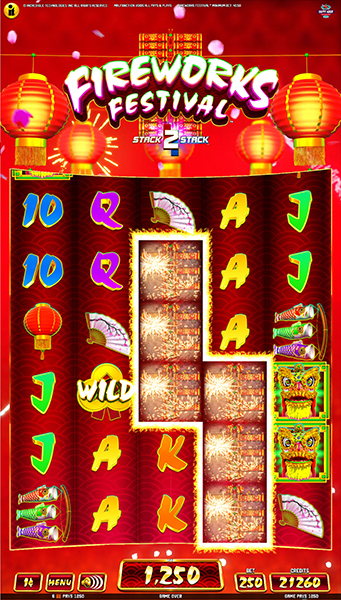 The 50 line game sparkles during the Stack 2 Stack™ feature! 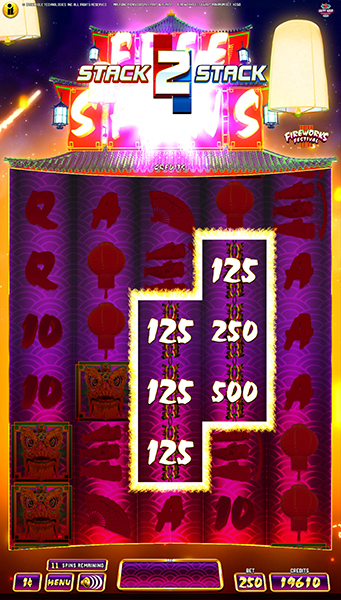 When stacked Firecracker symbols land on the reels, touching an adjacent stack, they pop and fizzle to reveal instant credit awards! Players will also be on the lookout for three or more red envelope scatters to initiate an exciting True Pick™ event. During IT’s True Pick™ features, players’ choices determine their fate, as awards are not predetermined. 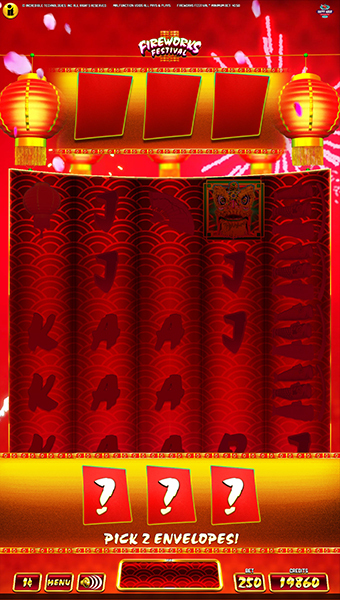 During the Red Envelope bonus, players choose their mystery credit awards, selecting all but the last envelope. Up to five envelope scatters may land on the reels, awarding players four picks for credit amounts! 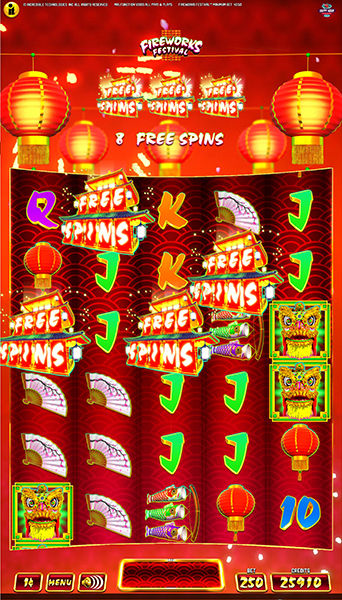 Free spins are initiated when three or more Free Spins scatters land on the reels. 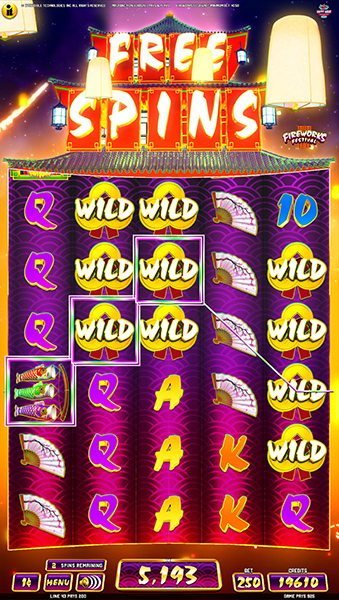 Players can trigger up to 20 free spins! The thrilling Stack 2 Stack and Red Envelope features keep players engaged and on the edge of their seats during free spins, making this bonus event one to celebrate.